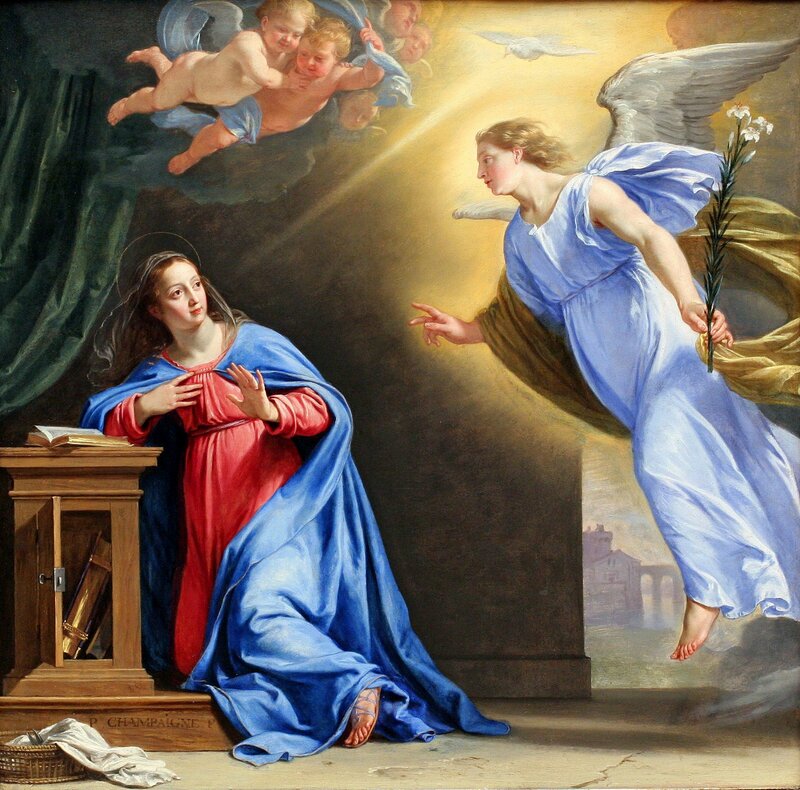 Just as the Vir­gin Mary was a bit per­plexed by Angel Gabriel’s greet­ing, are you per­plexed by what the Lord has in store for your life? Are you afraid of the favor in which God wants to bestow on you? Are you afraid of fail­ure or even suc­cess? What is hold­ing you back from achiev­ing God’s will in your life? God has a whole store­house of bless­ings for you just wait­ing to be tapped. “The thief comes only to steal, kill and destroy. I came that they may have life, and have it abun­dant­ly,” Jesus said. (John 10:10). Don’t let Satan steal what God wants to do in your life. But we have to do our part. First we have to accept God’s graces into our lives. We don’t have to do any­thing except to open our arms and accept the gift of grace. “If, because of the one man’s tres­pass, death exer­cised domin­ion through that one, much more sure­ly will those who receive the abun­dance of grace and the free gift of right­eous­ness exer­cise domin­ion in life through the one man, Jesus Christ.” (Rom 5:17) Because of Jesus’ sac­ri­fice, we have right stand­ing with God and an abun­dance of grace. This is a gift; all we have to do is accept it. And we have to show our faith, because faith with­out action/works is dead. “But some­one will say, ‘You have faith and I have works.’ Show me your faith apart from your works, and I by my works will show you my faith. You believe that God is one; you do well. Even the demons believe—and shud­der.” (James 2:17–19). It’s time to release our faith, and by putting it in action we release God’s favor.